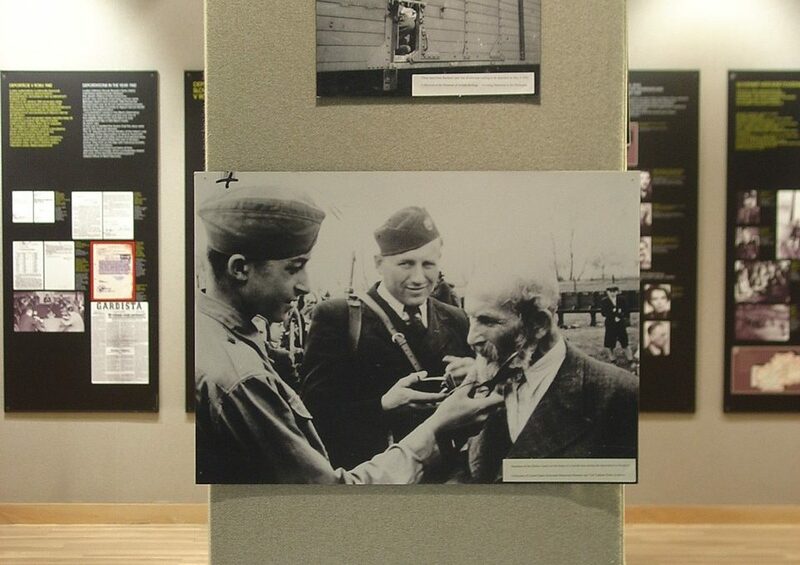 “The Tragedy of Slovak Jews,” an exhibit on the Holocaust in Slovakia curated by the National Czech and Slovak Museum and Library in Cedar Rapids, Iowa, will be on display at the Tyler History Center in Youngstown, Ohio from April 30 through May 31, 2019. Dr. Rebekah Klein-Pejšová, an expert on Slovak and Jewish history from Purdue University, will present a lecture at the exhibit’s opening on April 30. Slovakia, under the leadership of leader Jozef Tiso, was the only country that paid Germany to deport its Jewish citizens. Slovak fascist forces gathered 58,000 Jews in ghettos and work camps and the state passed anti-Jewish legislation. The government and its collaborators then transported Jews to the border and placed them into the hands of the Nazis, who murdered them in industrialized death camps. Additional Nazi-administered deportations and murders followed the Slovak Uprising of 1944. By the end of the war, the Nazis, Slovak fascists, and their collaborators had murdered between 60,000 and 70,000 of the 88,950 Jews who had lived in Slovakia in 1940, and an additional 30,000 Slovak Jews in Hungary and other territories. Many of those who survived did so by fleeing the country. The non-Jewish population responded in varied ways. Some aided their Jewish compatriots, while others profited from confiscated Jewish properties. Many did nothing at all. Only a few thousand Jews live in Slovakia today. The primary sponsors of the exhibit include the Mahoning Valley Historical Society, the American Slovak Cultural Association of the Mahoning Valley, and the Center for Judaic and Holocaust Studies at Youngstown State University.